hd00:20The man with gas mask and decontamination suit, protective clothes, walking, passing through the door, looking around, abstract shot apocalypse, nuclear war, radiation accident,symbolic footage,25fps. 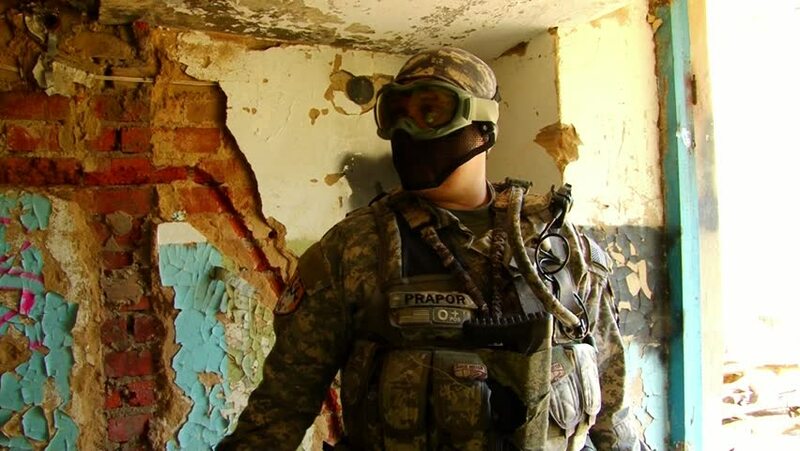 hd00:08Moscow, Russia - May 09, 2013: Airsoft game on background of ruined building. People in military uniforms using a copy of a firearm. hd00:11Little girl painting with hands mixing - A two years old girl plays with hands painted in colorful paints and draws faces on a big yellow sheet of paper. View from above.